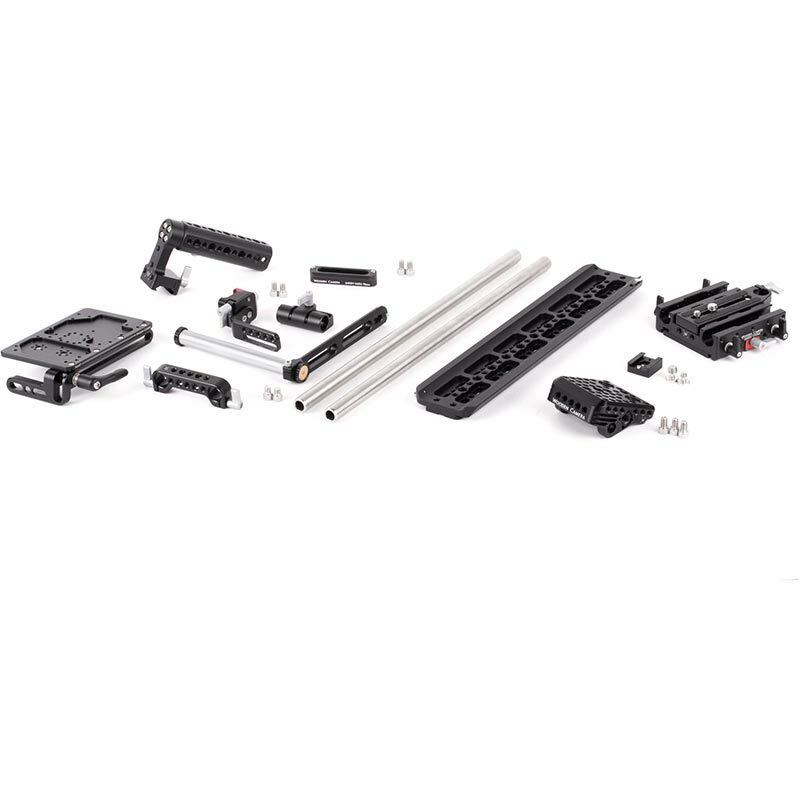 The Canon C300mkII Camera Accessory Kit (Pro) is a professional camera support package designed for the Canon C300mkII camera. 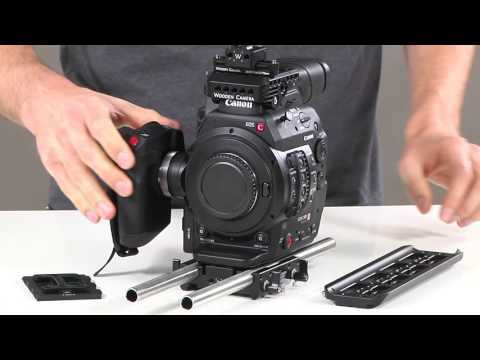 The C300mkII accessory package includes: Top Plate (C300mkII), a top mounting cheese plate that attaches by three screws, NATO Handle Kit (Cheese, 70mm), a quick release handle that attaches to the Top Plate, Unified Baseplate (C300mkII), a quick release baseplate that holds two 15mm Rod (15") at the correct lens height, Safety Dovetail (12") which interfaces with the ARRI dovetail slot on the bottom of the Unified Baseplate, UVF Mount v2 for holding EVFs & LCDs, Rod Clamp (15mm LW) attaches the Battery Slide to the 15mm LW rods. 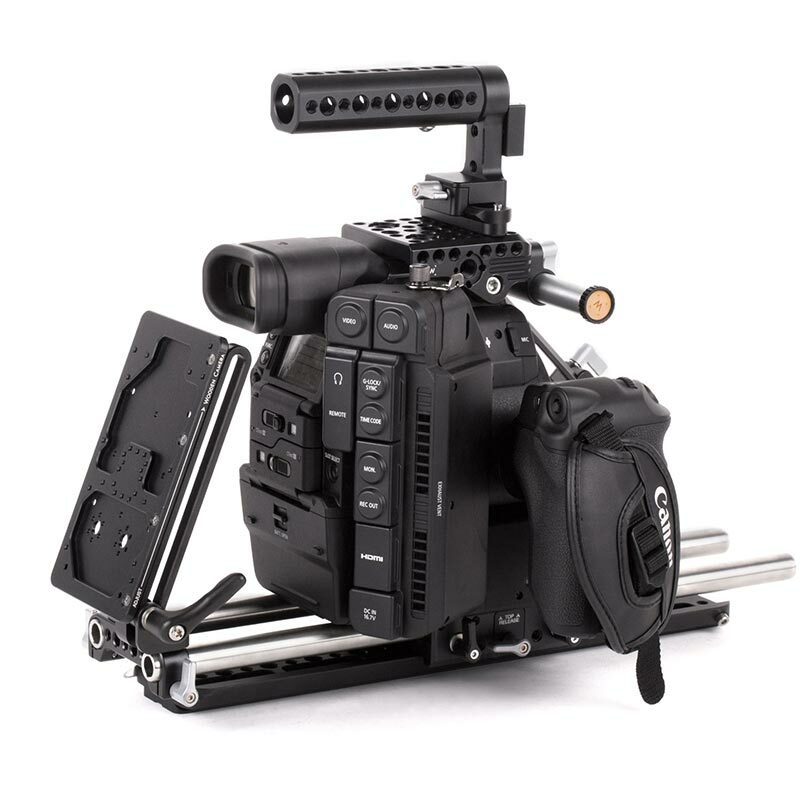 The Battery Slide is an adjustable battery plate for attaching a V-Mount or Gold Mount plate to the camera. 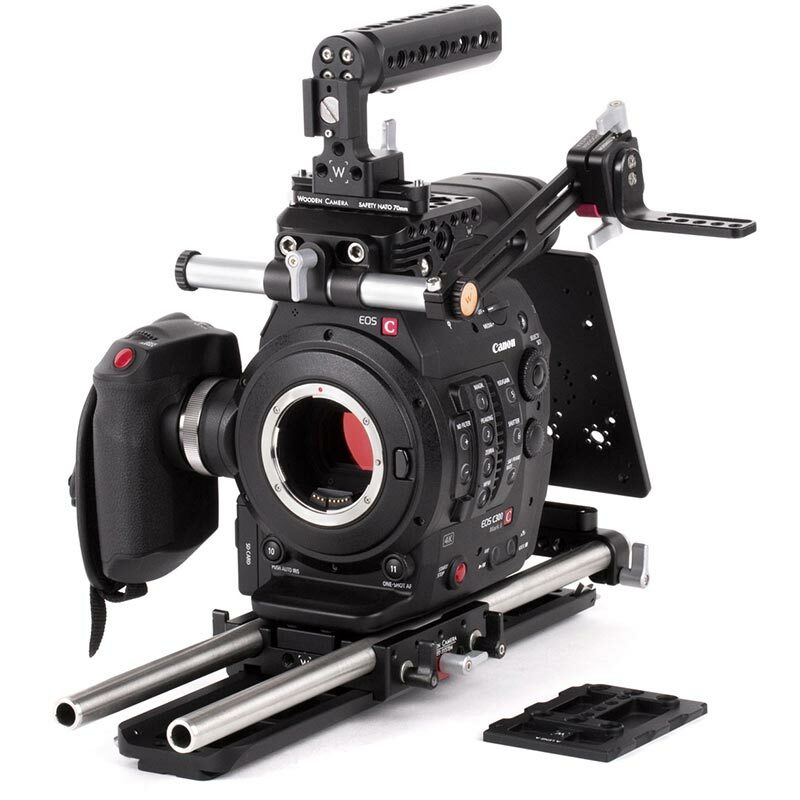 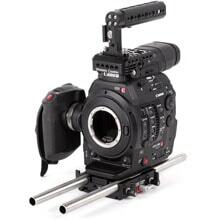 Also included as part of the Top Plate (C300mkII) is the Universal Hot Shoe which is used to attach the Canon LCD Unit to any 1/4-20 or 3/8-16 hole. 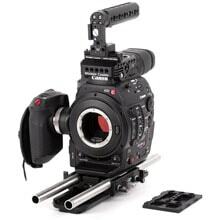 Dimensions: 101.6 x 177.8x 406.4 mm / 4 x 7 x 16"